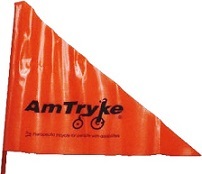 Orange flag with logo and 2 piece vertical rod and black plastic mounting grommet for use on Amtrykes models. 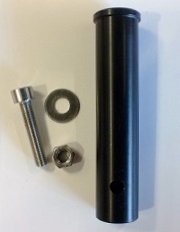 For replacement only. 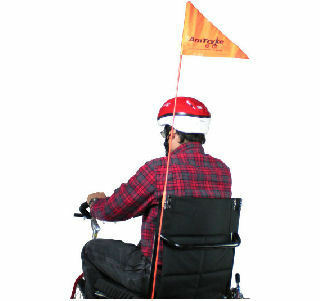 All trykes now come standard with a flag.